Latvia has experienced an extensive economic growth across all sectors over the past ten years. The global economic crisis, however, has led to many economic challenges. The Latvian government has expressed its determination to meet these challenges and prepared a development programme that features foreign direct investment (FDI) as a top priority and key to a fast and successful economic recovery. 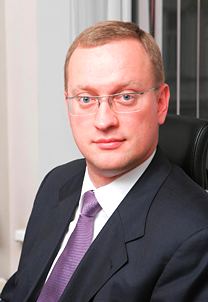 Jānis Zelmenis has been the Honorary Consul of the Republic of Malta in Latvia since 2006. He is also one of the most prominent Latvian lawyers and tax consultants, and a partner in one of Latvia’s leading law offices BDO Law and member of supervisory board and equity partner in BDO Latvia. Pirmoreiz Latvijā norisinājās pieņemšana par godu Maltas Republikas neatkarības 51. gadadienai, kuru rīkoja Maltas goda konsuls Latvijā, advokāts Jānis Zelmenis. When the weather is getting you down, it is always a pleasure to remember something sunny and warm. Great memories of reception on the occasion of Independence Day of the Republic of Malta, enriched by a company of excellent people will improve your day. Please enjoy a little throwback to celebration of Malta Independence Day held on September 21, 2016 by honorary consul of Malta in Latvia Mr. Janis Zelmenis.